William O. Oldman holding a Rarotongan staff god figure. Image courtesy of Robert Hales. This week I’ve been enjoying the new book “W.O. Oldman. The Remarkable Collector”, published by Robert Hales and Kevin Conru and recounting the life of one of the most prolific British collectors/dealers of the first decades of the 20th century, William Oldman. During his life Oldman amassed the world’s largest and finest private collection of ethnographic objects, predominantly from Polynesia and Melanesia. This publication documents this lifelong journey through Oldman’s private archives – recently rediscovered by Robert Hales. 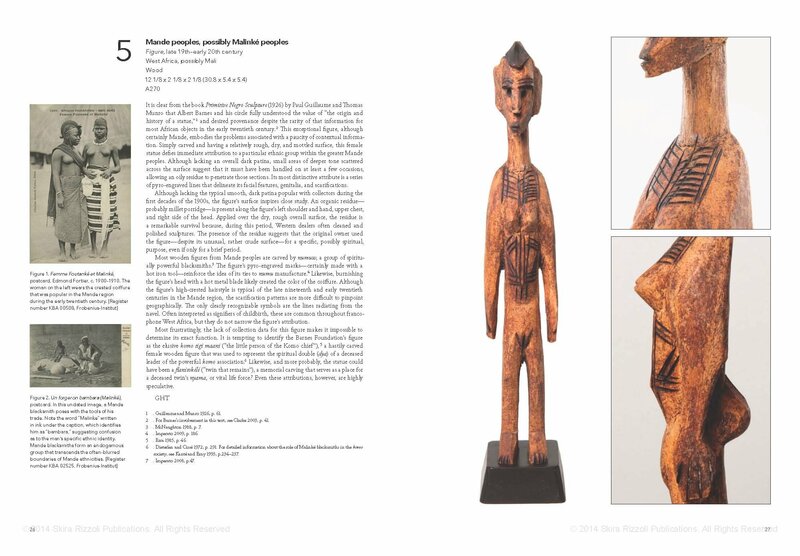 There are more than 240 illustrations (most of them never published before) showing his inventory and private collection – not surprisingly I learnt that several dealers & collectors already discovered their own objects in the book (for example the Mbole figure Entwistle showed at Tefaf two years ago). I have brought you another friend and now there are five of you. I am going to get you all back together and one day hopefully you will all go back home. A wonderful quote. 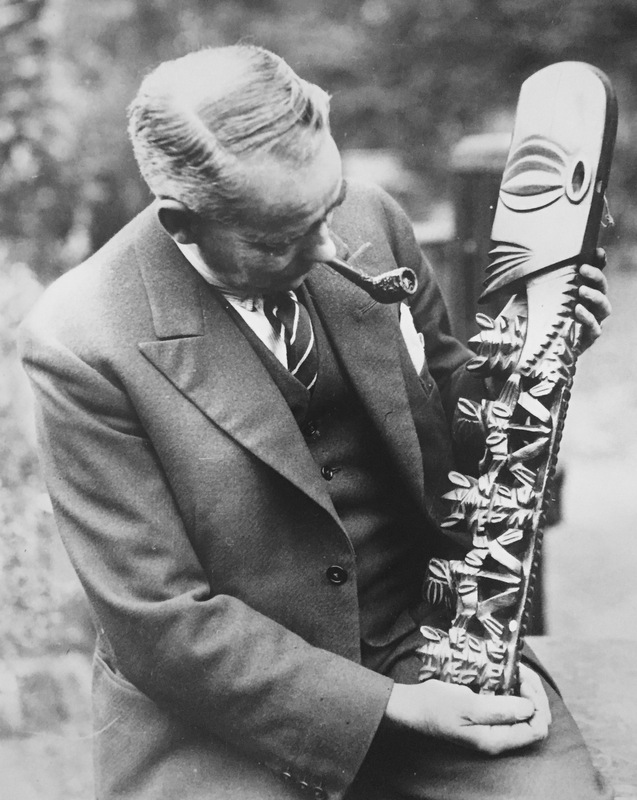 Documented by the photo below (apologies for the bad quality), on 13 August 1948 Oldman accomplished his life goal and sold his private collection of Oceanic material to the New Zealand Government for about £ 44,000 – he would die less than a year later. I’ve been looking a lot at this old photo; it has something very tragic about it. Not much later government officials would come to pack and ship away the treasures Oldman had been assembling his whole life. On the one hand, he must have been comforted they would (theoretically) stay together and return (more or less) to their origin, but one can’t fail to notice the incredible sadness in the man’s eyes – a big contrast with the big grin of his wife, who was probably very happy she didn’t had to live in museum anymore! 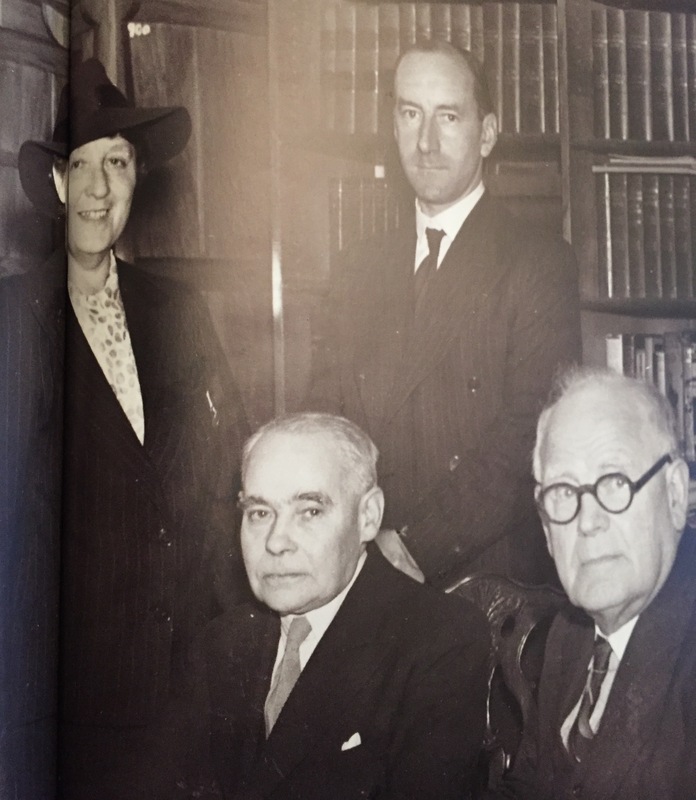 A (bad scan of a) photograph taken for the signing of the agreement of the purchase of a big part of the Oldman Collection by the New Zealand government on 13 August 1948. A very sad looking Oldman is seated next to the Rt. Hon. W.J. Jordan, High Commissioner for New Zealand. Behind Oldman stands his wife, Dorothy, all smiles. Image courtesy of Robert Hales. This entry was posted in Publications on September 17, 2016 by admin. 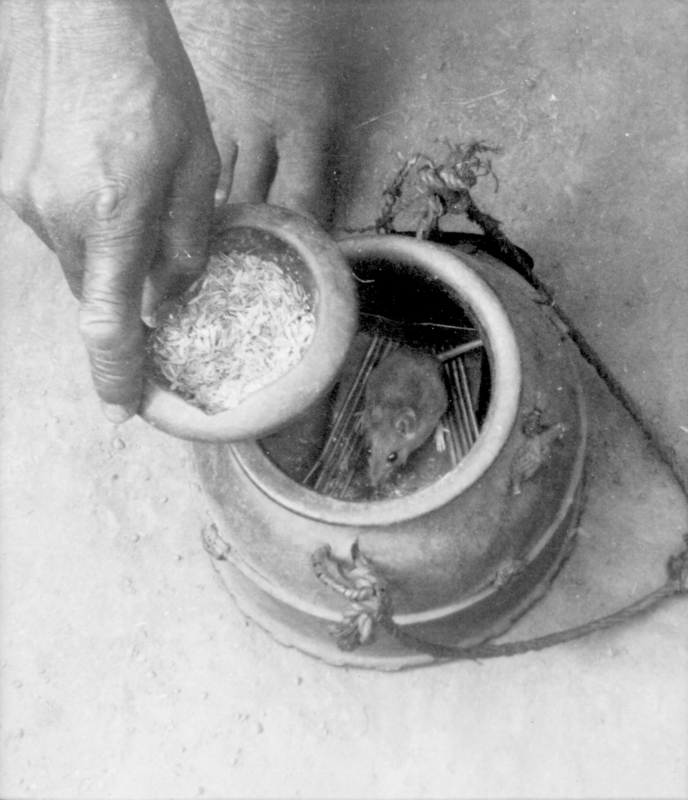 Baule mouse oracle (gbekre-sè). Photographed by Martin Lippmann (who accompanied Hans Himmelheber), 1935. Image courtesy of: Frobenius Institute, Frankfurt am Main, Germany (#EBA-B 02563). The term “gbekre” has long been used to designate the monkey figures of the Baule. In my book Baule Monkeys I tracked down the origin of this unfortunate appellation. 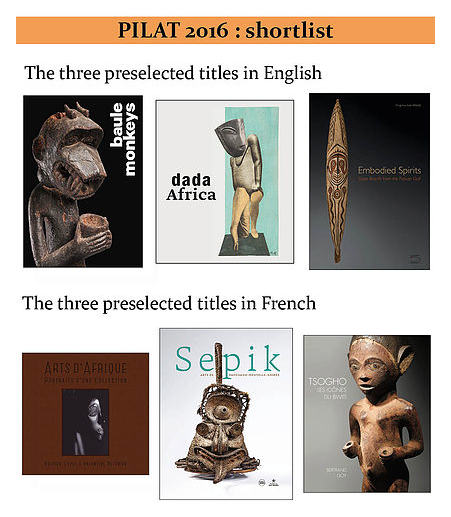 Under the heading of ‘religion and superstition’, Delafosse mentions the existence of two types of ‘idols’ in his Baule dictionary of 1900: waka akatya – in the form of a chimpanzee, and waka gbèkrè – in the form of a baboon; in both cases waka may be translated as ‘wood’. Akatya is not mentioned later and seems to have been forgotten, perhaps because the heads of so many such figures were indeed more reminiscent of a baboon. The same dictionary mentions two other uses of the word gbekre, namely the differently pronounced gbékré (mouse) and gbekre-sè (mouse box). However, a better-known publication by Delafosse is at the root of the misunderstanding that has persisted to the present. In his article on the art of the Baule published in 1900, he identified gbèkrè as the ‘baboon god’ in the subsection entitled ‘Génies’. Consequently, every apelike Baule figure would be referred as gbekre (without diacritics) in the literature. 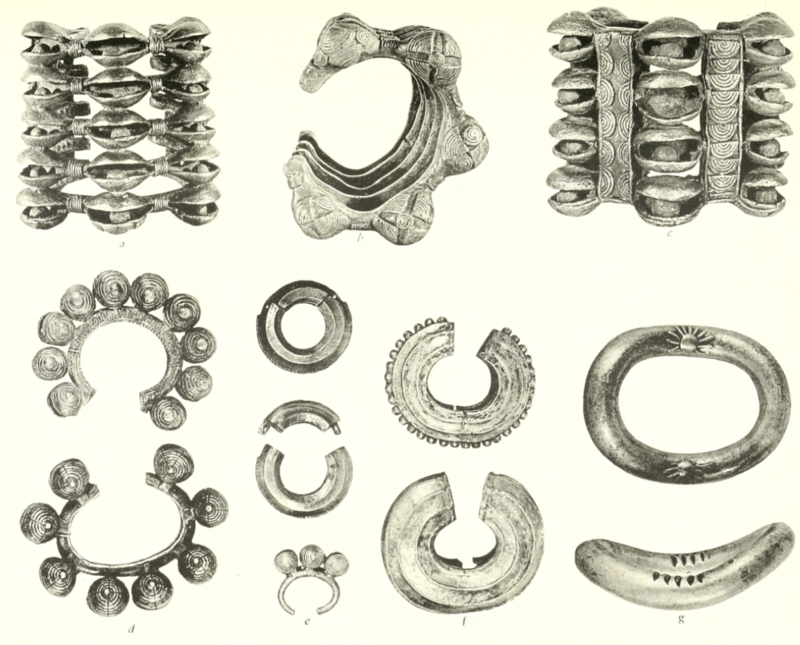 As early as 1956, Holas wrote in the introduction to his article on Baule bowl-bearing figures that, owing to Delafosse’s 1900 article, such figures were wrongly described as gbèkré  (note, however, that Holas was also imprecise in his use of diacritics). Despite its having been long known to be erroneous, this term is still prevalent in 2016. With or without diacritics, gbekre always means ‘mouse’ and should be avoided when referencing Baule bowl-bearing monkey figures. If you want to discover how we should call these statues, you’ll have to read the book 🙂 You can order it here. Delafosse, 1900b: p. 31. There was little room in that dictionary for discussing the use of these figures. Waka sona or waka sran is Baule for ‘statue’. According to Boyer, akatya (or kakatiwa) is the name of a bush spirit (personal communication, 8 December 2014). Interestingly, Kakatika was a common name for bush spirits in the Akwe area (personal communication with Susan M. Vogel, 3 August 2015). This entry was posted in Publications and tagged Baule on August 7, 2016 by admin. It’s time to go bananas! 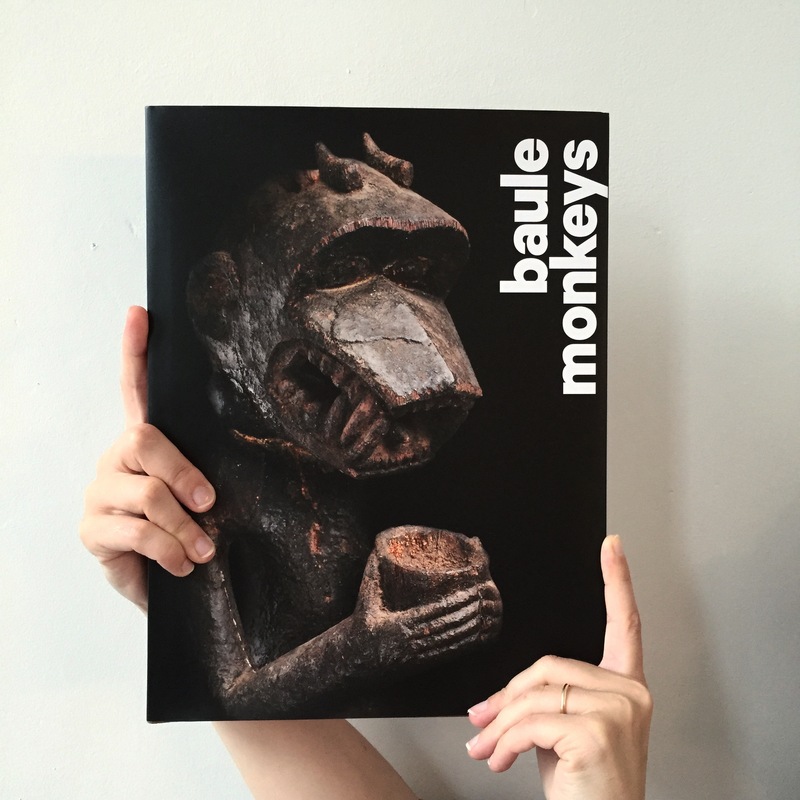 After 2,5 years of hard work, I’m proud to finally announce the launch of my second book: “Baule Monkeys”. My new, beautiful baby has 118 illustrations and counts 192 pages (with 25 chapters divided into four sections and 408 must-read footnotes); there’s also a French version. 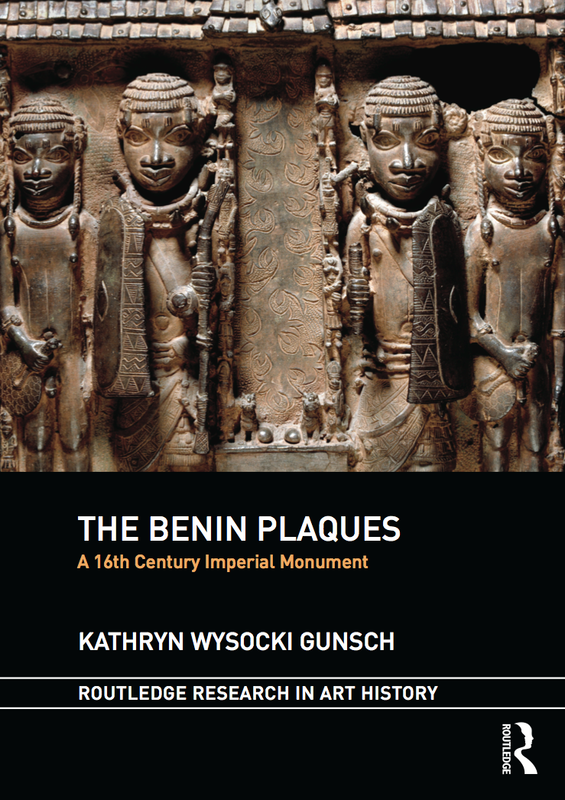 The seeds for this book go back a long time: about ten years ago, I encountered a Baule monkey figure from Ivory Coast for the first time during a visit to Bruneaf in Brussels’ Sablon quarter. I was utterly amazed by this bowl-bearing figure and the encounter with this statue was one of the very first times that an African art object really grasped the novice I then was. The opportunity to explore these enigmatic figures would come only years later. The Africarium Collection (which I at that time had been co-curating for a while) in June 2013 acquired the incredible cross-legged bowl-bearer illustrated on the front cover. This purchase would turn out to the catalyst to this book. The Africarium had already assembled an important group of monkey figures at the time, and this acquisition justified to dedicate these figures to the first monograph on the subject. Sharing my passion for them, Jean-Louis Danis, Africarium’s founder, agreed, and so we came to write this book. “Baule Monkeys” wishes to explores the many aspects of these fear-inducing sculptures far from the traditional art canon of the well-known delicate Baule masks and figures. The book explores the creation, usage and morphology of the bowlbearers, and sheds light on the cultural and ritual context in which they operated. There’s also a general chapter on monkeys in African art. Through extensive research, “Baule Monkeys” combines new and fascinating discoveries with all earlier research on the subject. It as well includes several unpublished field-photos from Susan M. Vogel (who also wrote the foreword). The book focuses on fifteen examples from the Africarium Collection and a further forty monkey figures from public and private collections all presented in beautifully detailed full page spreads. “Baule Monkeys” (and its French version “Singes Baule”) are published by Mercator Fonds – you can order it on their website here – and if you scroll down you can also find a small preview of the inside. This Thursday (9 June), I’ll be signing the book at Vasco Books in Brussels (who also have the book in stock) from 3 to 5PM – I hope to see you there! ps there’s also a private event in Brussels on Friday (contact me to get on the guest list). This entry was posted in News, Publications and tagged Baule on June 4, 2016 by admin. 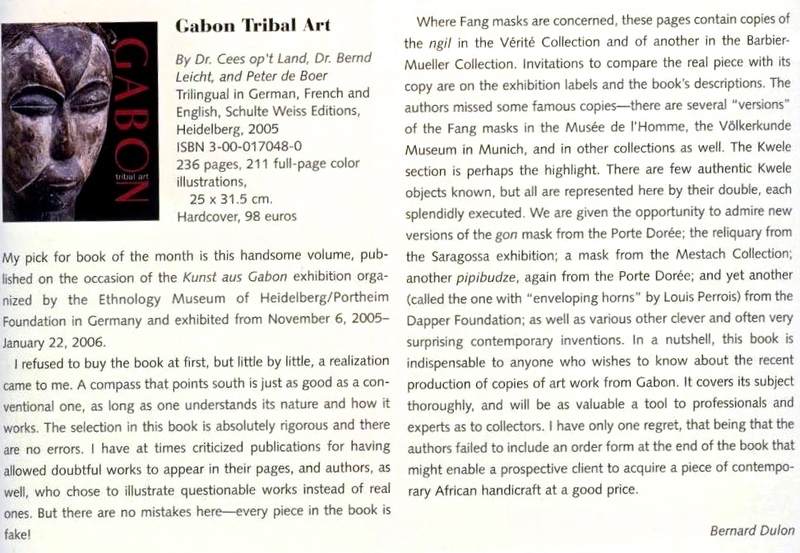 A couple of years ago, Bernard Dulon wrote this hilarious book review for Tribal Art Magazine; the man has humor. But also, it’s one of the seldom cases where an important player in the tribal art market dares to make a public statement about the big (African) elephant in the room, namely the enormous amount of fake African art that gets exhibited, published, and unfortunately also sold these days. This entry was posted in Publications on January 27, 2016 by admin. 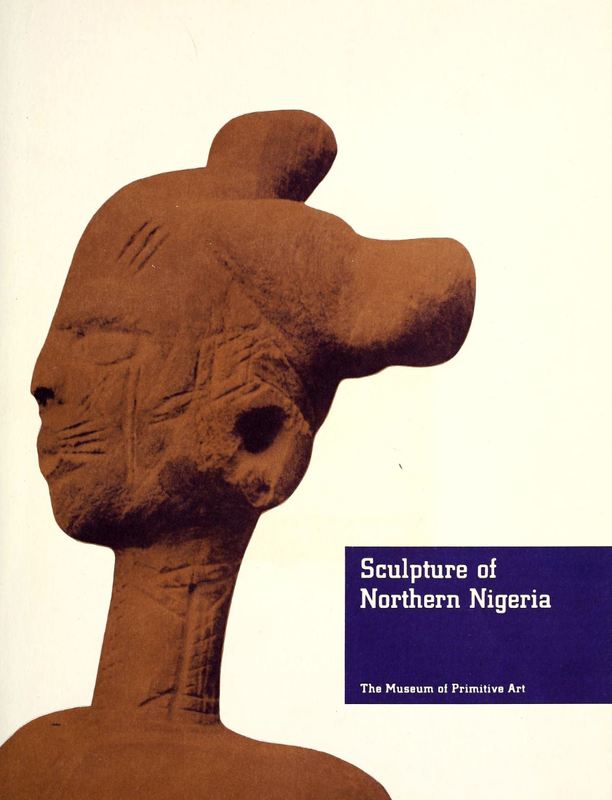 One of the first books on the art of that region, Roy Sieber’s Sculpture of Northern Nigeria is available online for free here. 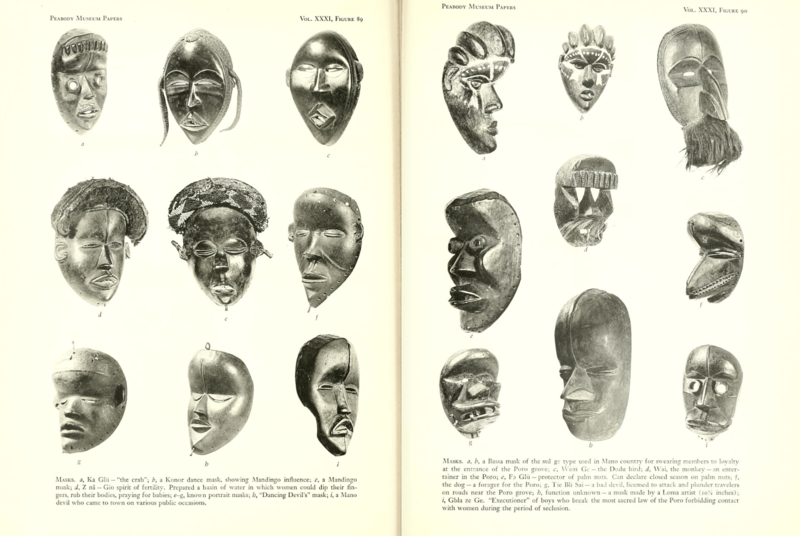 Published in 1961, it was based on Sieber’s fieldwork in Nigeria and accompanied an exhibition at the Museum of Primitive Art. 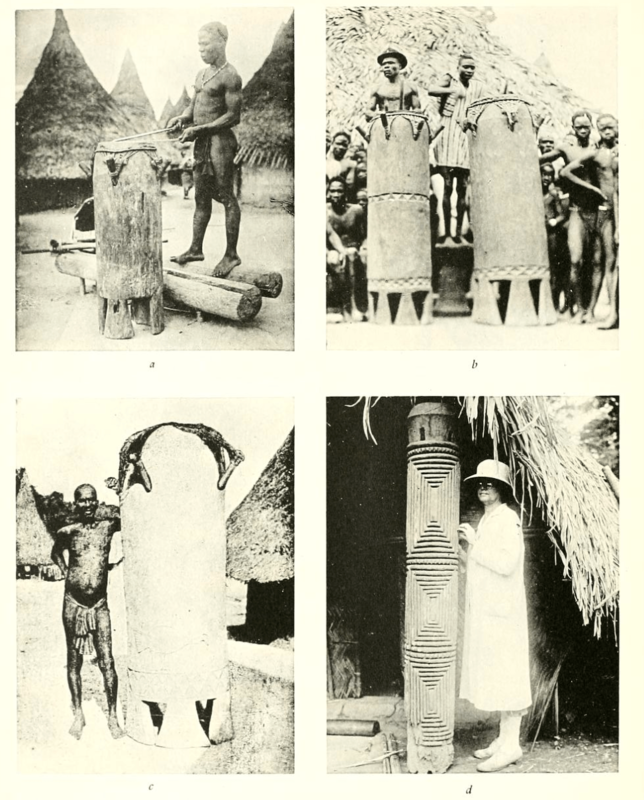 The catalogue discusses the Igala, Idoma, Goemai, Montal and Jaba. Sieber was the first person in the United States to get a Ph.D. in African art history, at the University of Iowa, in 1957. He’s considered the founder of the discipline of African art history in the United States. During his long tenure at the University of Indiana, he supervised the Ph.D. theses of at least thirty scholars, three of the first being René Bravmann, Arnold Rubin, and Anita Glaze. Sculpture of Northern Nigeria throws new light on two of these obscure areas, both near the Benue River of Nigeria. The history of the region is one of migrations and cross-currents of conquest ending only in the last century; but despite the shattering impact of such upheavals, the tribes about the Benue River have maintained strong artistic traditions. 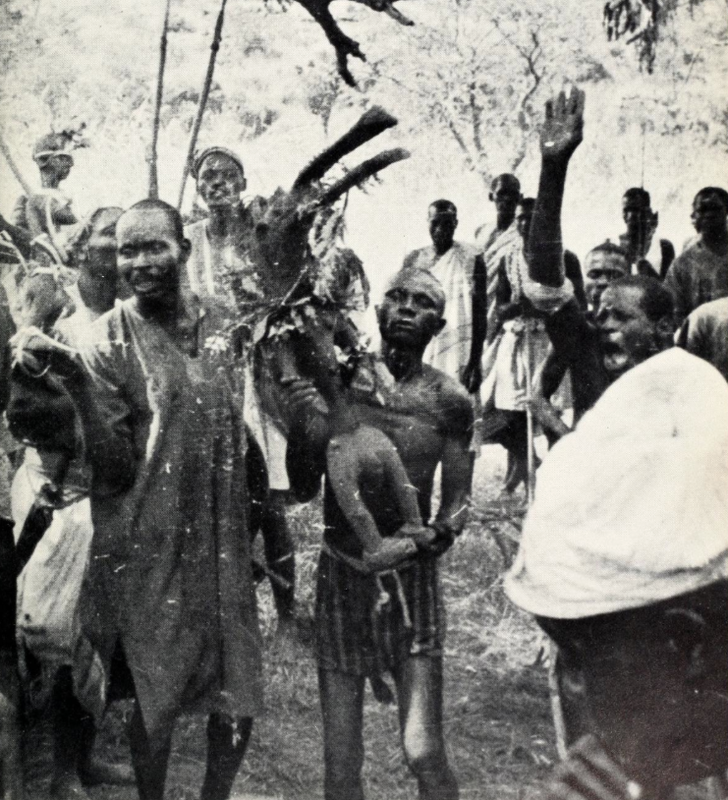 These traditions have few affinities with the well-known tribal styles of southern Nigeria, but seem rather to be related to western Sudanic forms. This is a rare and hard to find catalogue, so be sure to have a look. Goemai ceremony at Jelbam Hill near the graves of the former chiefs. Photographed by Robin Jagoe in 1957. This entry was posted in Publications on January 24, 2016 by admin. To be published by Skira Rizzoli end of May, African Art in the Barnes Foundation: The Triumph of L’Art Negre and the Harlem Renaissance, edited by Christa Clarke (senior curator of Arts of Global Africa at the Newark Museum, New Jersey) and with contributions of Arthur Bourgeois, Nichole Bridges, Kevin Dumouchelle and Kate Ezra, is the first publication of the Barnes Foundation’s important and extensive African art collection. I had already written about their holdings last year here, so I’m very happy to learn about the upcoming monograph dedicated to this special collection. The Barnes Foundation is renowned for its astonishing collection of Postimpressionist and early Modern art assembled by Albert C. Barnes, a Philadelphia pharmaceutical entrepreneur. 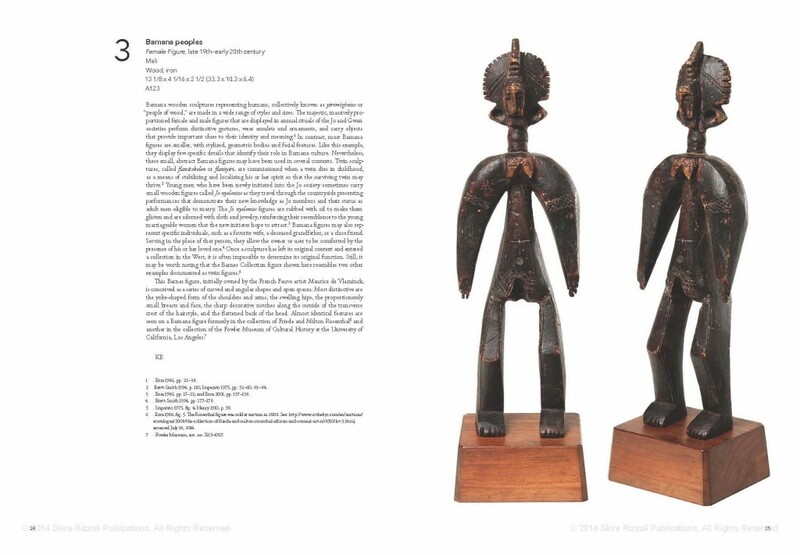 Less known is the pioneering collection of African sculpture that Barnes acquired between 1922 and 1924, mainly from Paul Guillaume, the Paris-based dealer. 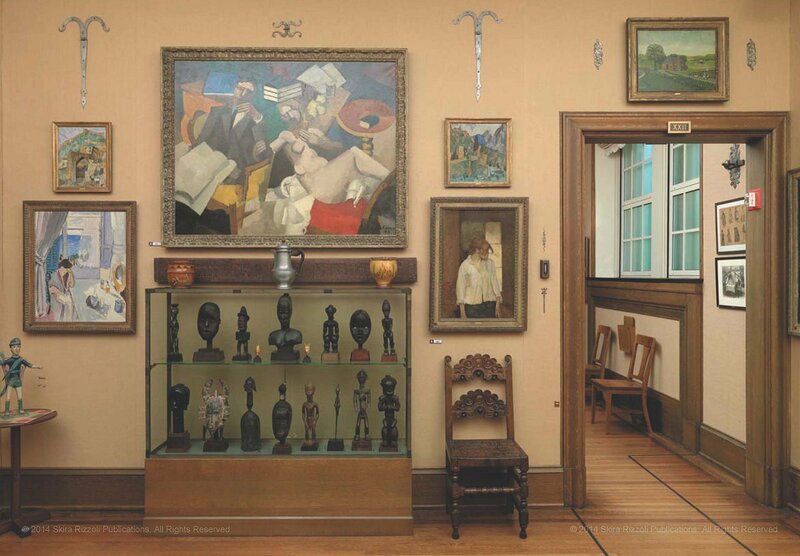 The Barnes Foundation was one of the first permanent installations in the United States to present objects from Africa as fine art. 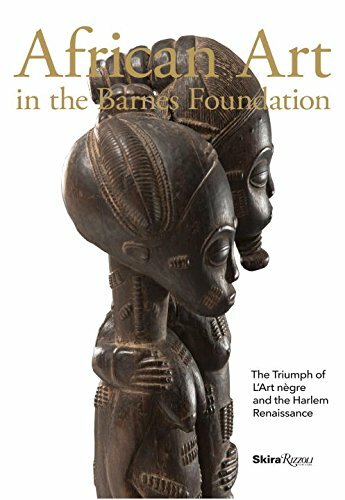 Indeed, the African collection is central to understanding Barnes’s socially progressive vision for his foundation.This comprehensive volume showcases all 123 objects, including reliquary figures, masks, and utensils, most of which originated in France’s African colonies—Mali, Côte d’Ivoire, Gabon, and the Congo—as well as in Sierra Leone, Republic of Benin, and Nigeria. Christa Clarke considers the significance of the collection and Barnes’s role in the Harlem Renaissance and in fostering broader appreciation of African art in the twentieth century. In-depth catalog entries by noted scholars in the field complete the volume. A unique aspect that makes this collection art-historically important is the very short timespan in which it was acquired, more specifically between 1922 and 1924. One thus gets a very good idea of what was available right then. 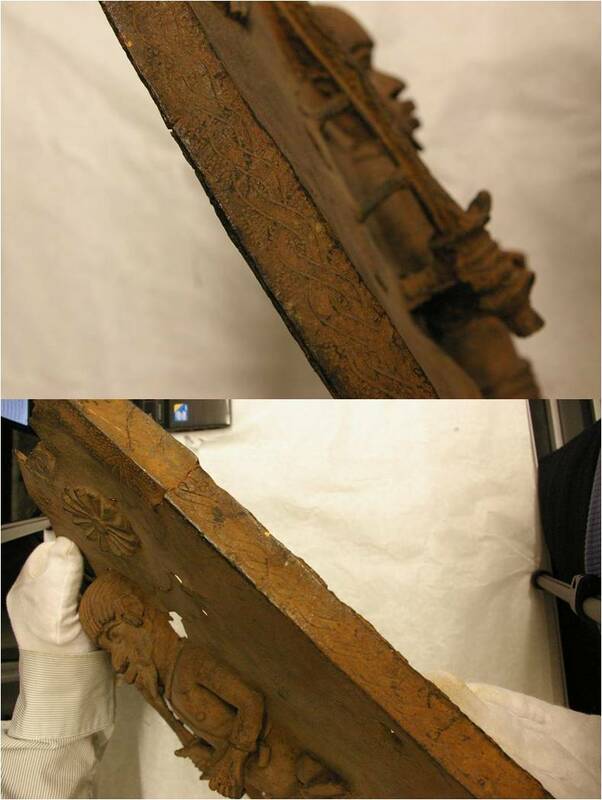 In retrospect it is easy to state that the quality or authenticity of some of the objects is questionable, but one should be aware of the limited knowledge on the subject available then and the pioneering role of Albert C. Barnes assembling these artworks. This entry was posted in Museums, Publications on January 28, 2015 by admin. Another important book that is freely available online (here), Tribes of the Liberian Hinterland presents the ethnological results of the Harvard University’s Peabody Museum’s expedition to Liberia which George Schwab (a missionary and amateur anthropologist) undertook, together with his wife, in 1928, partly to make observations about missionary work and its effects, and on the survival of various elements of the indigenous cultures. Much of the material was gathered before by the editor and coauthor, Dr. George W. Harley, medical missionary for over twenty years in Ganta in Northern Liberia (which is Mano territory). 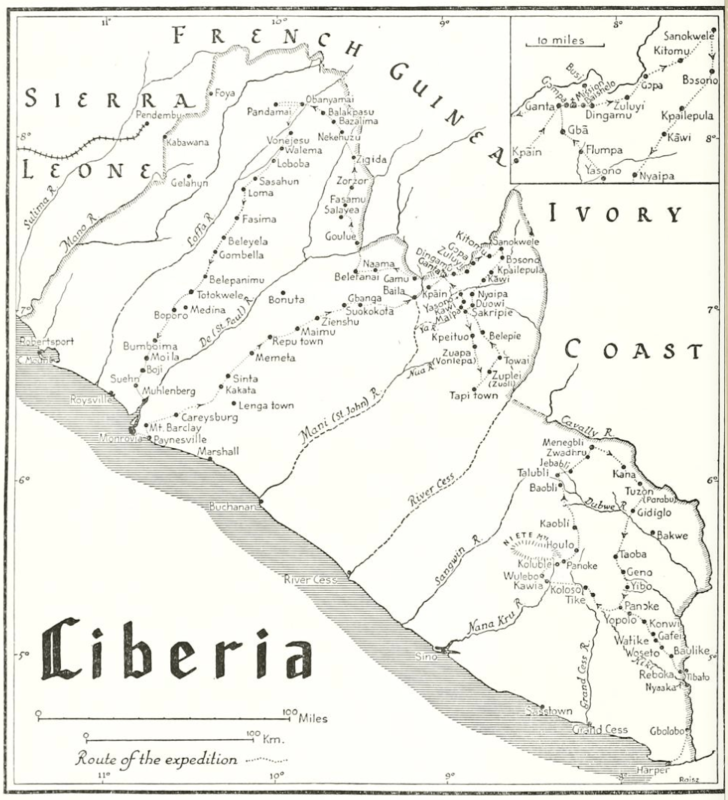 The regions surveyed were Northern and Southeast Liberia, especially the Gbunde, Loma or Toma, Mano, Dan and Grebo. The book presents an enormous wealth of data on these peoples. The 526 pages discuss: village and village life; agriculture and time reckoning; domestic animals; fishing, trapping and hunting; food, drinks and narcotics; dress, adornment, and hygiene; handicrafts and utensils; music, dancing and games; social organization and trade; childhood and child training; war and weapons; death and burial customs; religion (cults and metaphysical concepts); divination, oracles, and science; local law; proverbs, riddles, and folk talkes, and character traits. At the end of the book there are 111 figures, including many beautiful field-photo’s and numerous images of objects of daily use (which you rarely see in publications due to their limited commercial value). Written by missionaries, there is of course a strong bias; although regrettable it doesn’t harm this publication immense value if you want to learn something about the people of the Liberian Hinterland. This entry was posted in Publications, Research and tagged Dan, Grebo, Kpelle, Loma, Mano, Toma on October 30, 2014 by admin. One year ago, I wrote about the exhibition Nok. 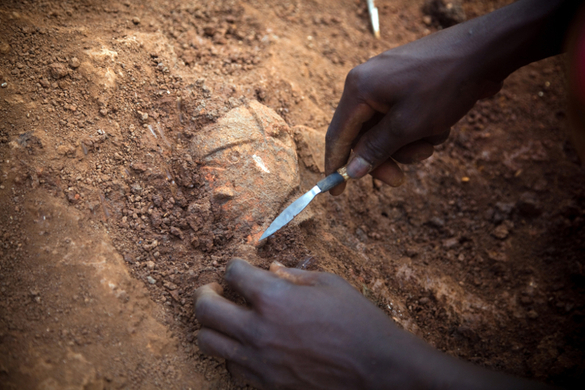 Origin of African Sculpture at the Liebieghaus Skulpturensammlung in Frankfurt. The accompanying book presented the discoveries of a team of archaeologists from the Goethe University (Frankfurt/Main), who have been researching the Nok culture in situ since 2005 – unfortunately it was only published in German. A reader just informed me that the catalogue now has been translated into English (available here). 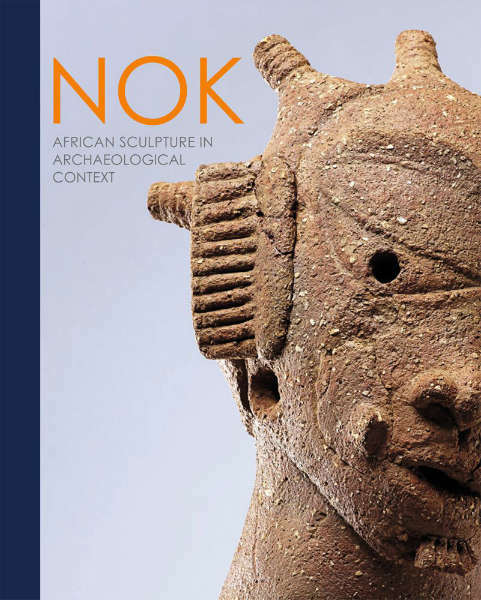 In case you’re interested in the terracotta figures from the Nok this is a must read. Image courtesy of the Goethe University Frankfurt. This entry was posted in News, Publications and tagged Nok on October 29, 2014 by admin.